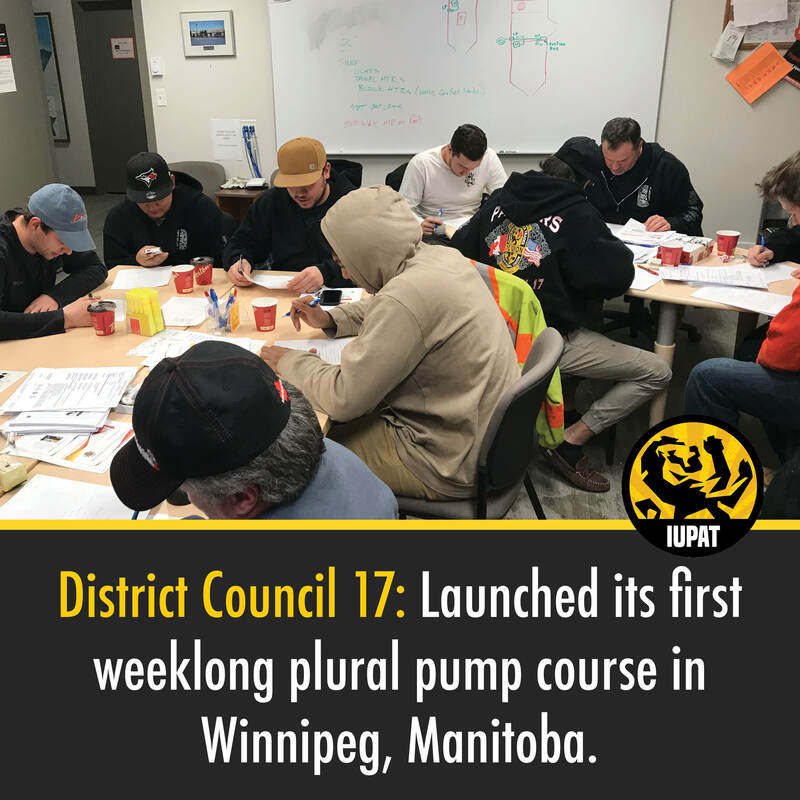 District Council 17 has launched its first weeklong plural pump course in Winnipeg, Manitoba. A total of 13 members participated from Western Industrial Services Inc., Carlson and Advance Coating Solutions. The purchase of the equipment was supported in part by Canada’s Union Training and Innovation Program. Robert Falcon-Ouellette, Member of Parliament for Winnipeg Centre, was on hand to congratulate DC 17 Business Manager/Secretary-Treasurer John Sedor. “The grant program has enabled us to purchase state-of-the-art equipment to aid in training our diverse workforce. The knowledge gained by the trainees will help the coating industry in protecting critical infrastructure from the devastating and costly effects of corrosion,” said Sedor.